Today we have a very interesting band on Metal Maniac, the Italian Black/ Doom Meta/ Ambient Soundscapes “Arcana Coelestia”. 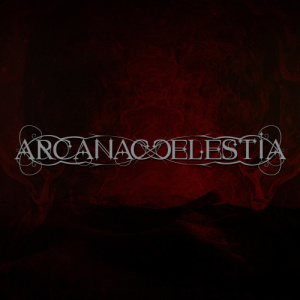 Here are some words about them: Arcana Coelestia came to life during the Summer of 2005 as a funeral doom and black metal band. After a first demo recording, the band decided to re-record all of the tracks for a first EP titled “Ubi Secreta Colunt” of which concept was based on August Strindberg and his mentor Emanuel Swedenborg’s life. The next album “Le Mirage De L’Ideal” released during the Spring of 2009, as for the first EP, focused on the Romanticism and Decadentism’s epoque but finding this time inspiration from Baudelaire’s poetry. In 2010 the band started the recording process of the third album “Nomas”. Unfortunately due to the two musicians’ personal issues the recordings delayed four years time. 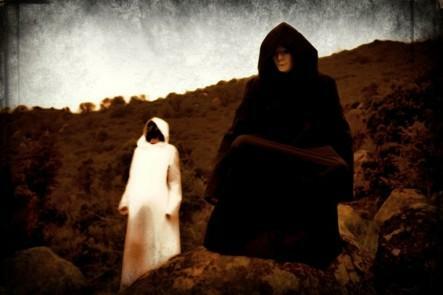 In order to complete the recordings the band was forced to change momentaneously LS (former singer) with RM who already played with MZ in their other bands Urna, Aphonic Threnody and Dea Marica. The band moved back onto the black metal roots but still holding steady on the dreamy soundscapes of “Le Mirage De L’Ideal”. “Nomas” is goin to be released during the Autumn of 2014 and it’s going to mark a new mutation into the band’s sound due to the various changes in the line up which has seen PV-1 (Locus Mortis, Catagramma Lepta) on drums, Ivan Zara (Void Of Silence) on guitars and Kostas Panagiotou (Pantheist, Landskap, ex-Aphonic Threnody, Wijlen Wij, etc) on keys. I’ll be straightforward, I found this album to be fantastic. It’s exquisite, remarkable, intense, affectionate, powerful and alluring. Very atmospheric and well-composed, we have an utterly creative, spacey and different. The first time I head this album I found myself wondering in a place much, much far away from the one I stipulated to reach (I was talking a walk to try to relax my always anxious mind). The whole compositions sound, in my humble opinion, bombastic, stunning and, in a way, soothing and hypnotizing. Nomas is an elegant and alluring release that I believe will be very successful in their musical field. 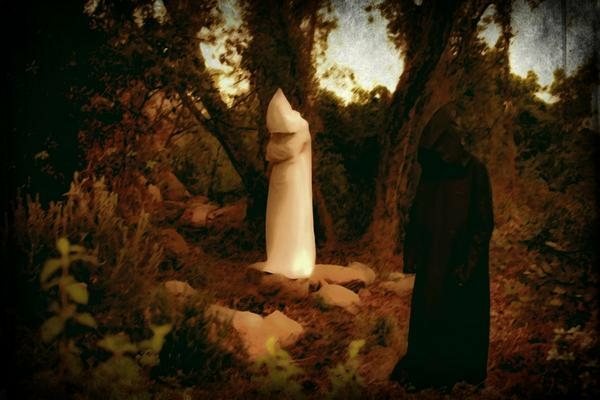 The music is experimental, but not too much, just right, the blend of funeral doom and black metal with ambient elements sounds fantastic. The keyboards and effects are simply outstanding and I just love how the guitars sound. It’s hard for me to give you a “general” and “impartial” description because I’m truly in love with this music. The melodies sound mysterious, atmospheric, but heavy, powerful. A real epic ride, from beginning to the end. 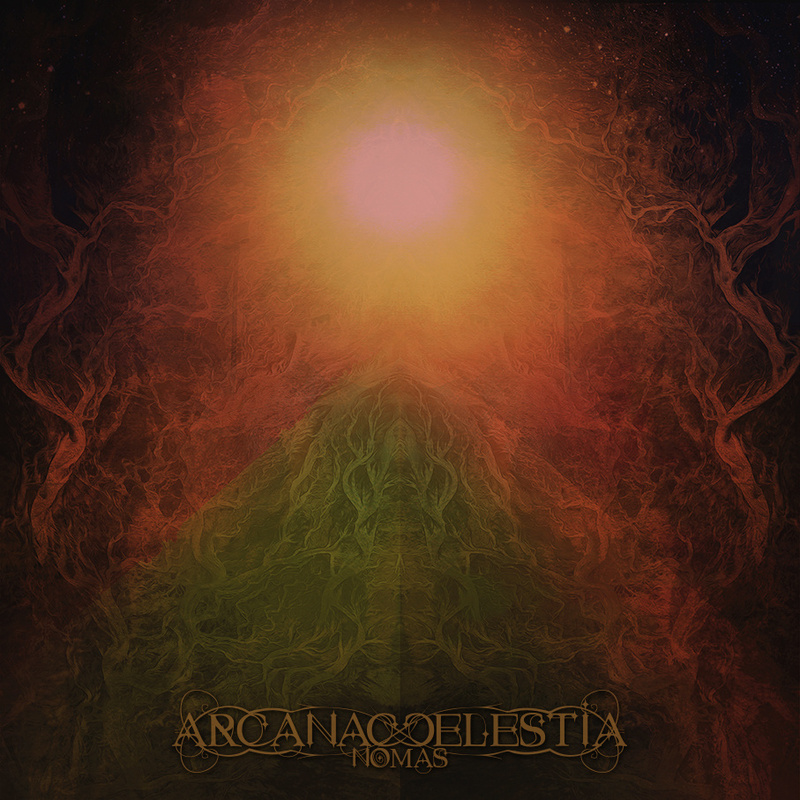 You feel like you’re in a mesmerizing dream world, anesthetized by the majestic music of Arcana Coelestia. About the album’s production, everything is crystal clear, pleasant to the ears, well-produced, mixed, everything shines through. I urge you all to check this amazing band, if you haven’t already and, if you enjoy their art, to, please, support the band the way that is possible for you; can’t purchase merchandise right now? There are other several ways to help a band, spread the word about them, share their pages on your social network of choice, anything that you believe will support Arcana Coelestia.